In the frame of the Road Rehabilitation and Safety Project (RRSP), a project supported by international financing institutions to the Government of the Republic of Serbia, NET Engineering is providing consultancy services for the preparation of Main Design for road rehabilitation-upgrading of the Serbian State Roads IB 25 and 35.
detailed design, project supervision, management, monitoring and audit. The specific objective of the project is to provide technical documentation for complete Detailed Design for Heavy Maintenance which would guarantee an increase of the usability value and durability of roads together with the improvement of traffic safety. In fulfilling the objectives, NET will analyse the existing transport network and will identify and propose alternative improvements. The different alternatives that will be proposed will consider traffic forecast and technical, economic, social, environmental and land ownership factors. Zaječar 5 – Knjaževac 1 (Trgovište) section that belongs to the IB state road category, number 35 connecting the border of Romania near Derdap to Kuršumlija (Boundary line with the Autonomous Province of Kosovo and Metohija) and passing through the cities of Negotin, Zaječar, Knjaževac, Svrljig, Niš ,Merošina, Prokuplje. 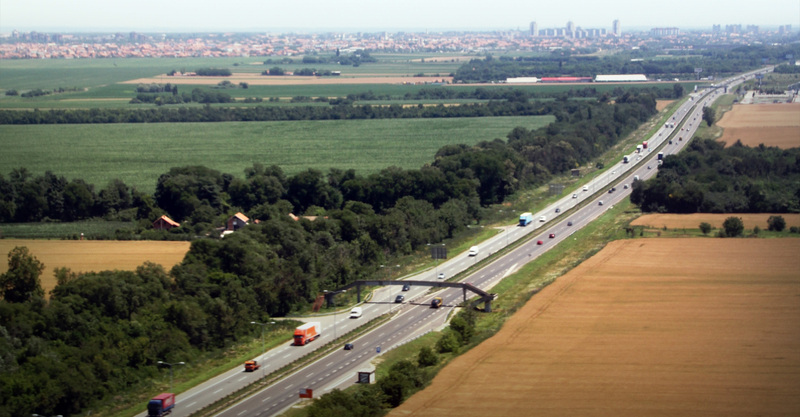 Topola 2 – Kragujevac 5 section that belongs to the IB state road category, number 25 connecting the municipality of Topola to the city of Kragujevac and passing through the settlements of Gornja Trnava, Vlakca, Čumić, Cerovac and Desimirovac. Stage I – Bases for Design, including all of the preparatory activities for the subsequent design. Particularly important will be the definition, in accordance with the Client, of a complete framework of the existing situation of the road, of the external constrains and of the specific expected results. Stage II – Detailed Design, including the development of the technical documentation (drawings and reports) and its presentation to the Client and to the Technical Control for their approval.